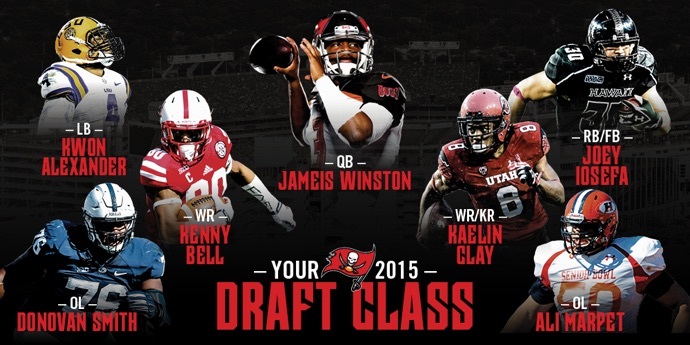 The Bucs picked from 1st and 2nd alternately through the draft. They traded their 3rd round pick and a 4th round pick to Indianapolis for the additional 2nd round pick. 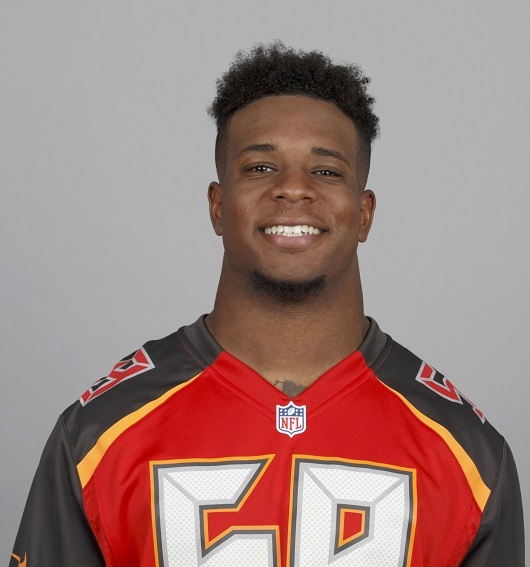 Various other trades took place to leave the Bucs with a selection in each of the final four rounds. 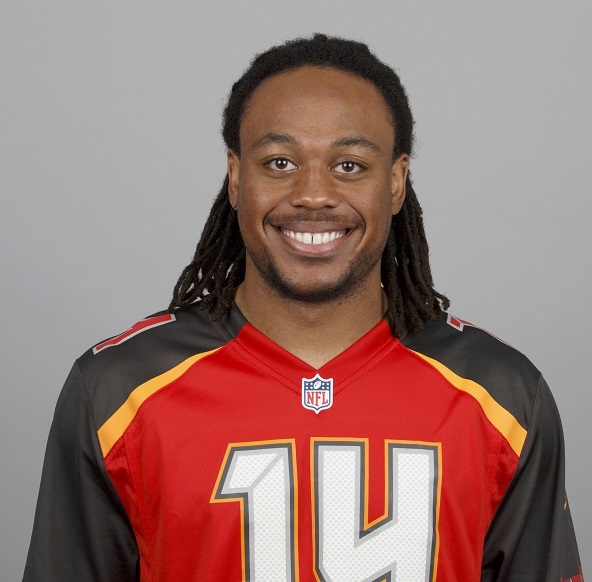 Remains the Buccaneers' starting quarterback but goes into the final year of his rookie contract with the same questions about maturity and turnovers that have been associated with him throughout his career. Now ranks as the all-time franchise leader in touchdowns having shared the starting QB role through 2018 with Ryan Fitzpatrick due to suspensions and mid-season poor form. 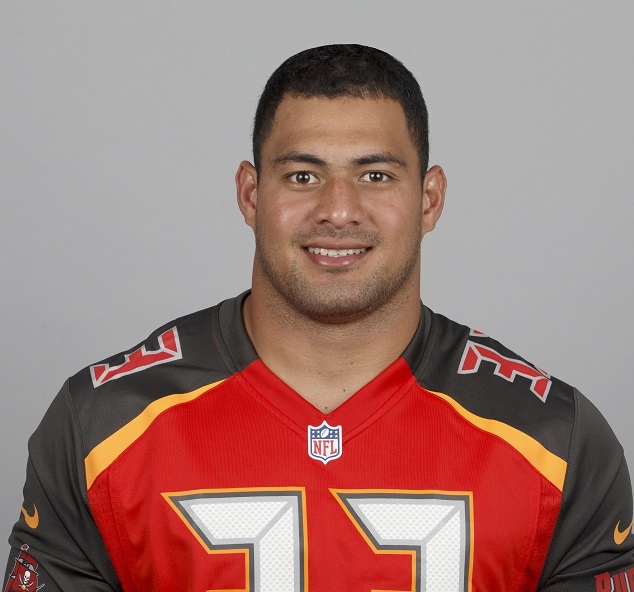 Played in the 2015 Pro Bowl as a late replacement. 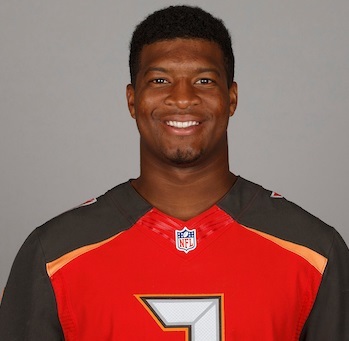 Won the 2013 Heisman Trophy and a national championship with the Seminoles before declaring for the NFL draft as a junior. 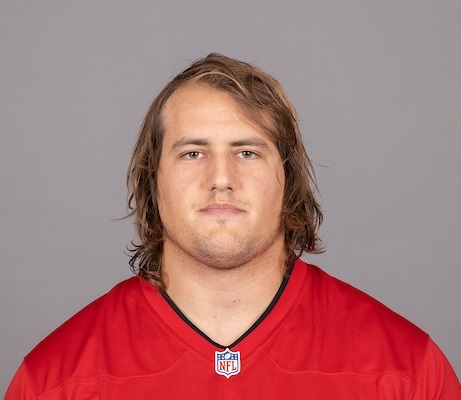 Has started every game at left tackle since he was drafted in 2015 but enters free agency in April 2019 with his Buccaneer future unknown. Did not allow a sack whilst a two-year starter with the Nittany Lions. Was part of a superb Buccaneer podcast with Ali Marpet that has aired in recent years on the team network. Returned to his natural guard position for 2018 having signed a long-term contract extension during the off-season and started every game there. Had moved to center for the 2017 season and was having an outstanding season when placed on IR after 11 games. Had started every game he had played since being drafted and did not miss a single snap during 2016. 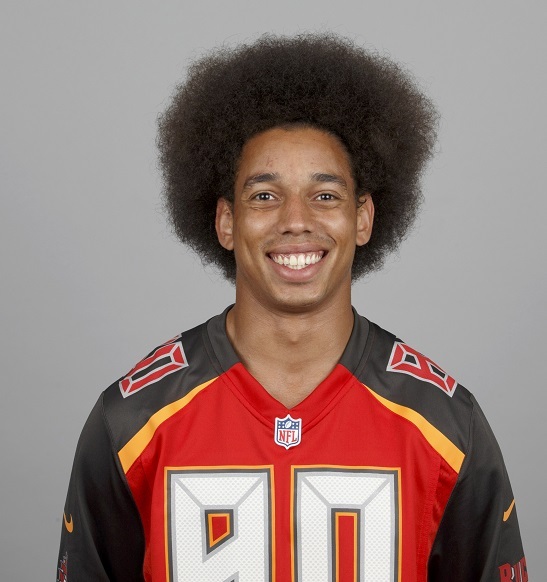 Has started every game he has been healthy for during his Buccaneer career but enters free agency in April 2019. 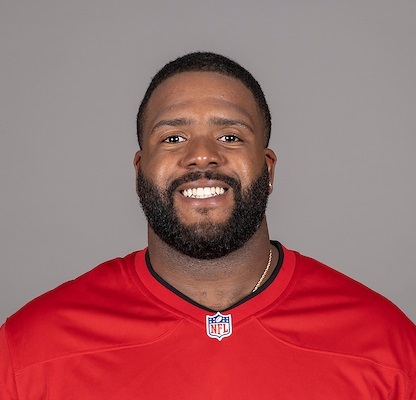 Was placed on IR after six games in 2018 having led the team in tackles to that point. Was named an alternate to the 2016 Pro Bowl team having been a unanimous all-NFL rookie selection in 2015. Was injured in the pre-season and hence missed the entire 2015 campaign. Did not make the team out of camp in 2016. Did not make the team out of training camp but did play for the Baltimore Ravens and had a punt return touchdown in a Monday Night game against Cleveland. Did not make the team out of training camp but did see some time with the New England Patriots later in the year.